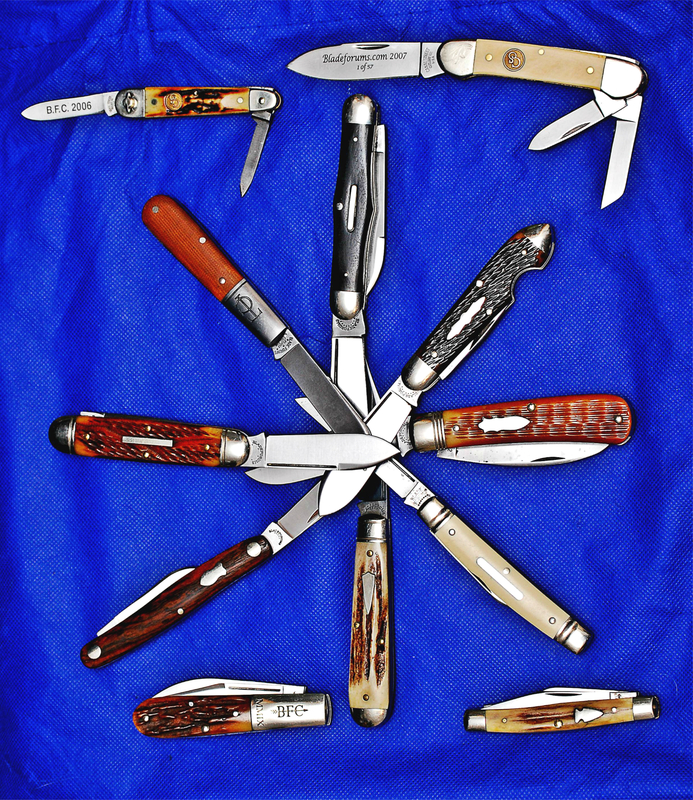 Discussion in 'Traditional Folders and Fixed Blades' started by T. Erdelyi, Nov 9, 2018. 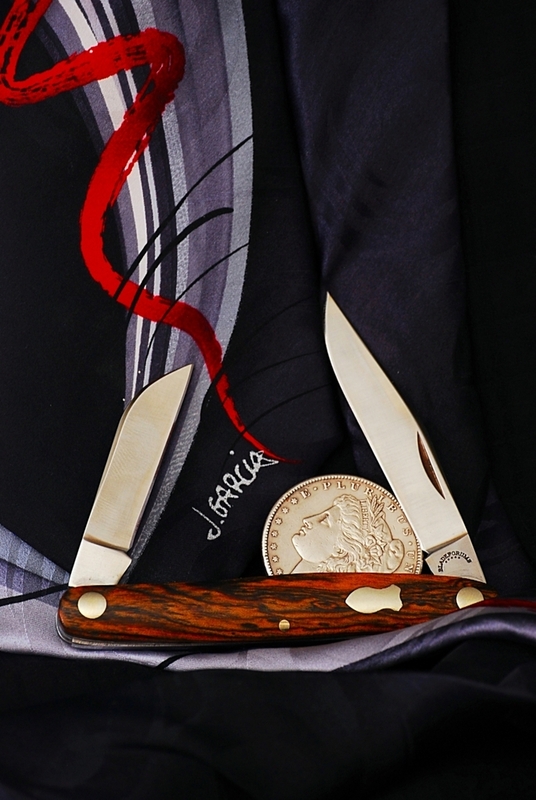 If you could have a sprint run of only 1 of the previous traditional forum’s knives which one? If you voted in the part 1 of this poll please don’t vote here or if you change your vote please do so on the other poll too. It would be knice if that were true wouldn’t it? I’m sure there are many of you folks rockin’ out on the porch who’ve only recently found our little niche in the community. As such only recently discovered the joy of being part of the official Traditional Forum’s annual knife process. 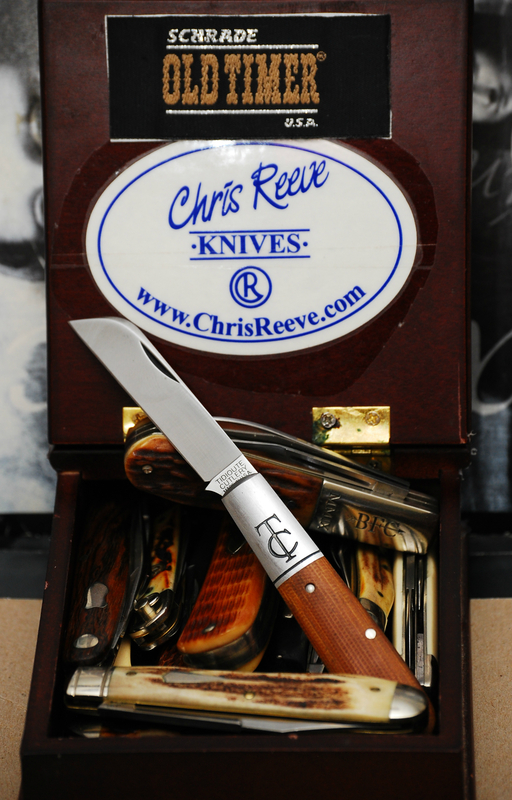 This means you’ve most likely missed out on a majority of the early/rarer knives we’ve had produced in the last 12 years. I can’t count how many times I’ve heard or read someone who said they wish that this year’s or that pattern forum knife were reissued. I personally would love to see a reissue/sprint run of the Queen/Schatt Morgan/BFC Barlow. One of my favorite and most memorable of Forum knives commissioned. So just for grins and giggles, if you could have any one of the last twelve forum knives reissued as a sprint run, which model/pattern would you like to see made and if you wouldn’t mind, a brief reason for why. In case you aren’t aware of all the knives we’ve conspired to have made here’s a brief timeline. 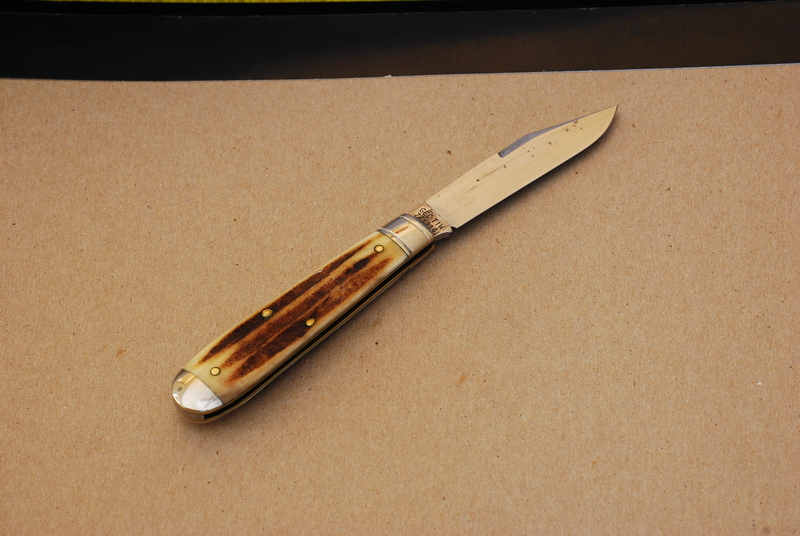 Canal Street Cutlery Ring Turner Pen Knife with burnt stag scales. 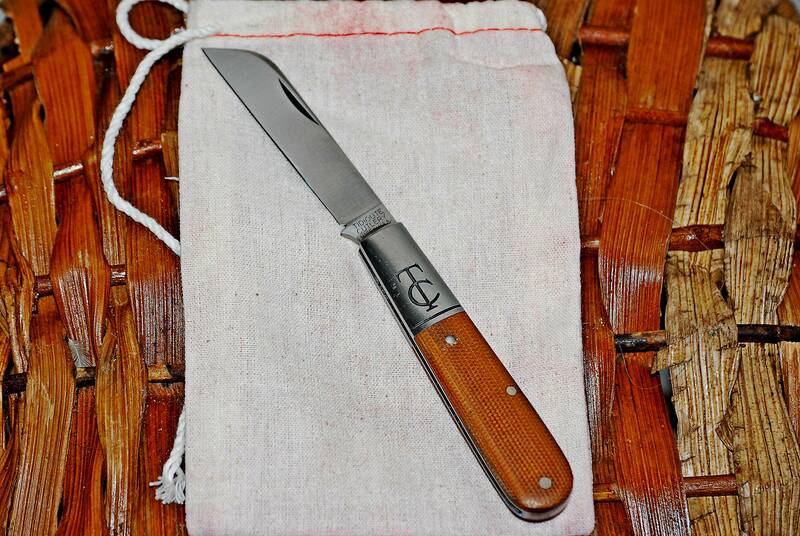 Canal Street Cutlery Cannitler in Wooly Mammoth scales. 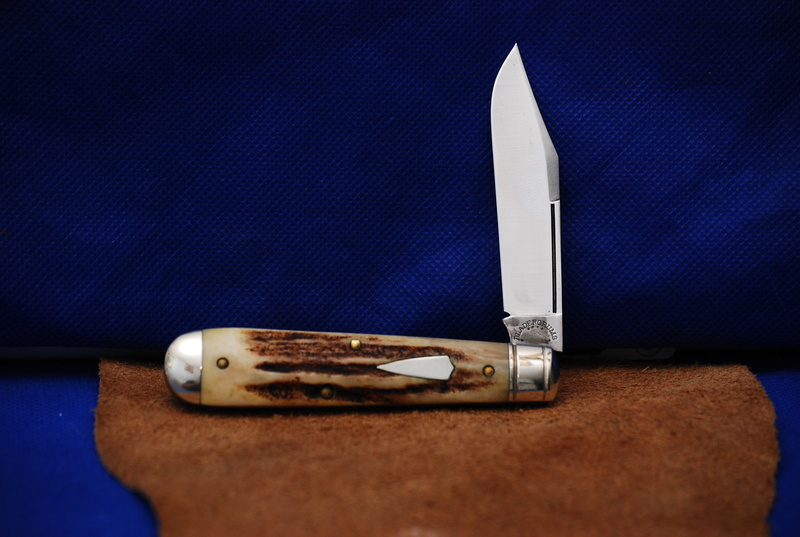 Northwoods Medium Stockman in Burnt Stag scales. 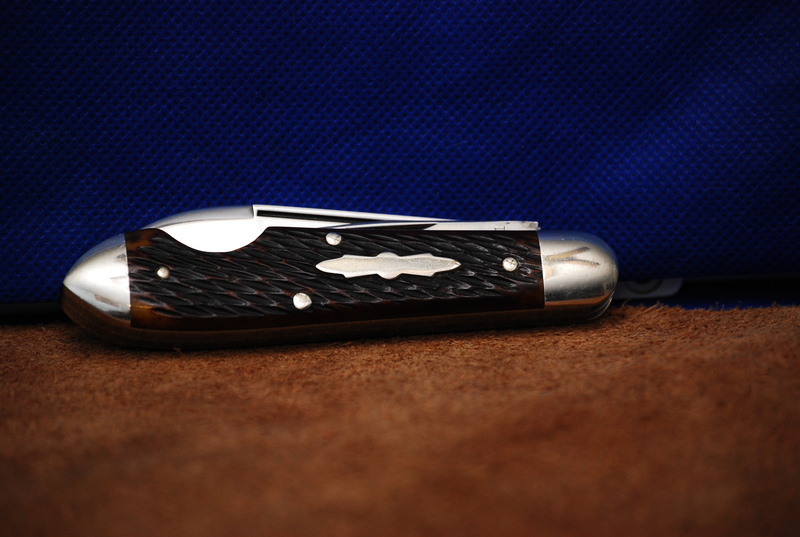 Queen/Schatt Morgan Barlow in Stag scales. 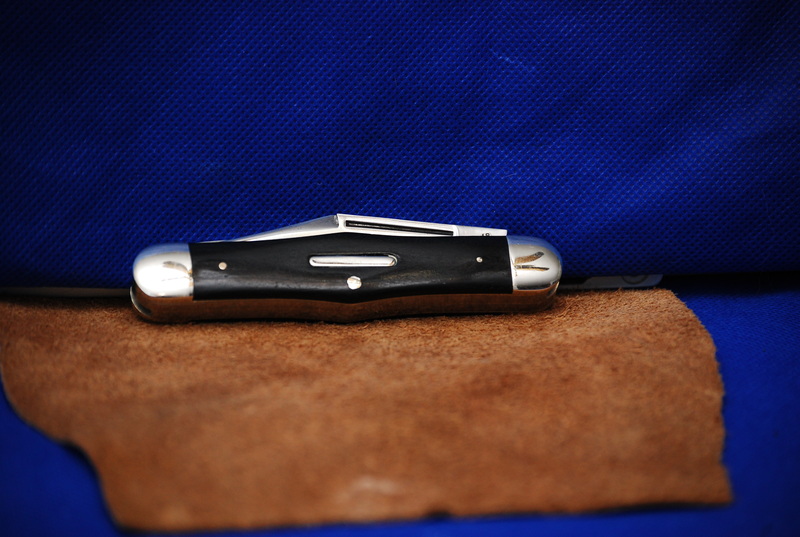 Queen Swell Center with Ebony scales. 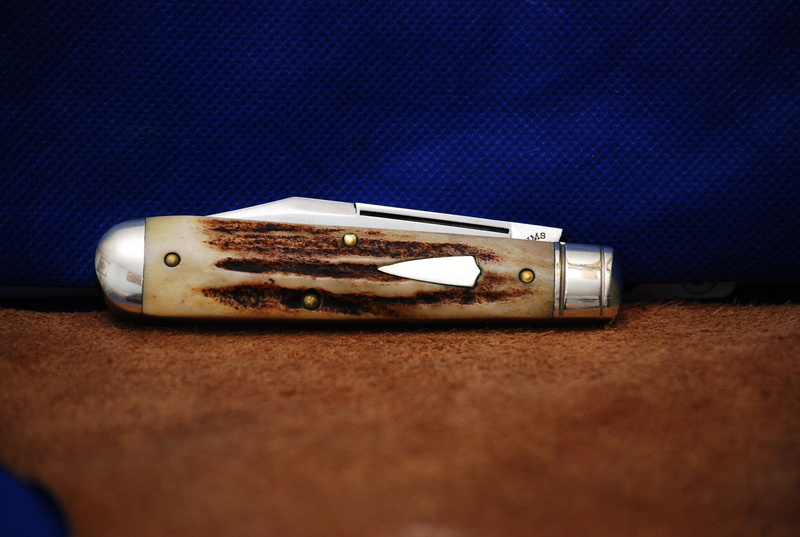 GEC Teardrop Bottle Jack in Jigged bone scales. 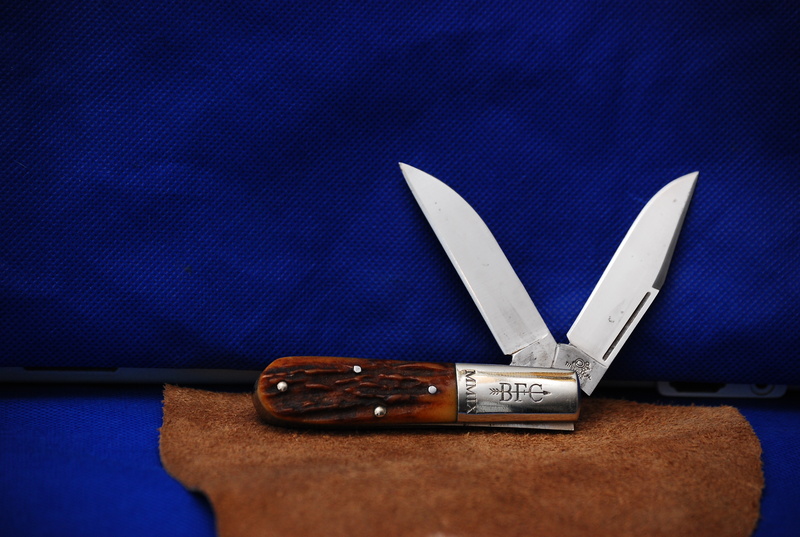 GEC Warncliffe Trapper with Jigged bone scales. 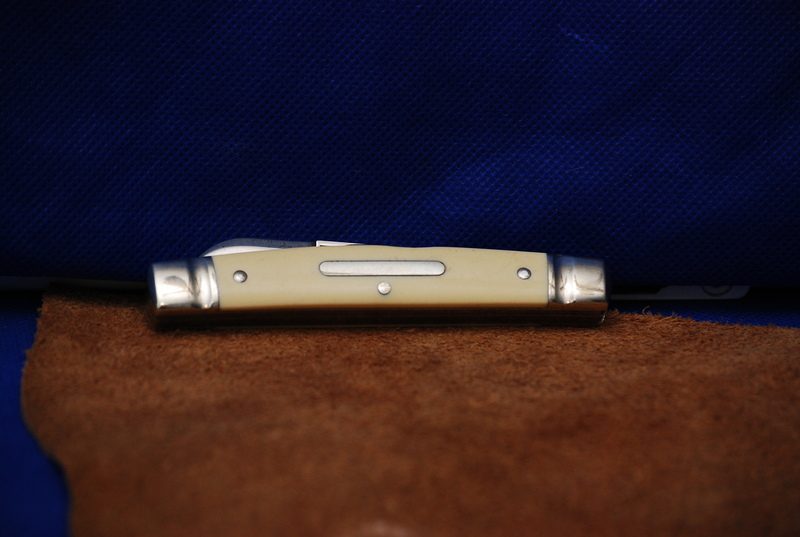 GEC Half Congress Jack with White Linen Micarta scales. 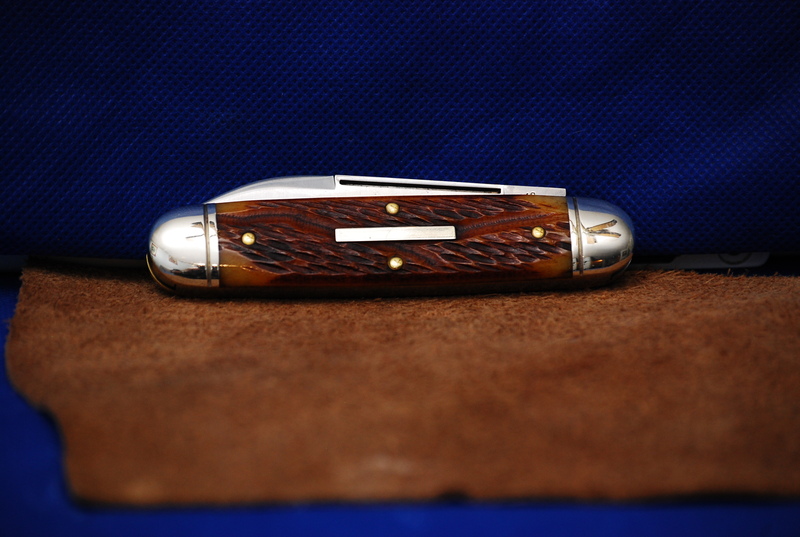 GEC Stag Jack with Stag covers. 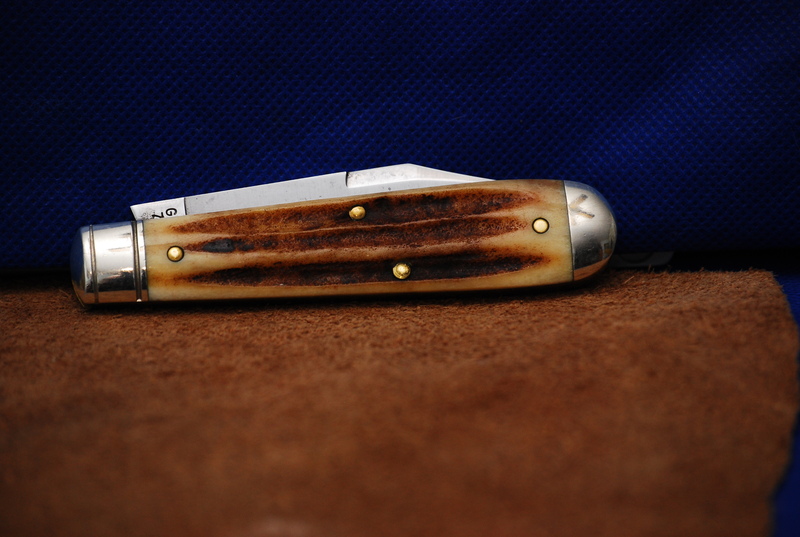 GEC Drover/Punch Jack with Jigged bone scales. 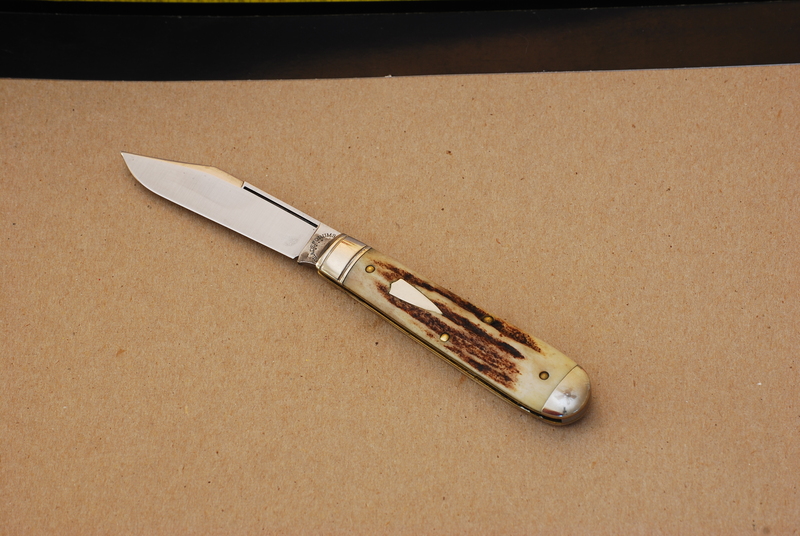 GEC TC Barlow with Natural Canvas Micarta scales. JTB_5 and Jolipapa like this. 2009 Barlow, with or without the Stag. I like two blade Barlows, and I like that blade combination. OK, I'm a little confused. I'm seeing three polls for the reissue of a Forum knife. Or am I just nuts? I'm confused AND nuts. Isnt there a way to consolodate them? It’s a what if poll. The forum knife for 2018 has been decided already. I was just wondering if you had a choice to get one redone which one would it be? There’s 2 pols by me because it wouldn’t allow me to do 12 choices in a single poll so I split it up. Maybe a mid could but I’m not lookin’ to make any work for the mods. If these threadscause too much confusion I’ll lock them both and come up with a better way to phrase it into one poll. But it looks like there are three threads instead of two. No big deal. All of the previous knives are beautiful. Would have bought each one. However, I think I would prefer this year's to any of the previous. For me, it's hard to choose between 2008, 2012, and 2014. 2018 blows them all away! By the way, thanks for putting them all together for us to see. I can’t wao for this year’s knife. 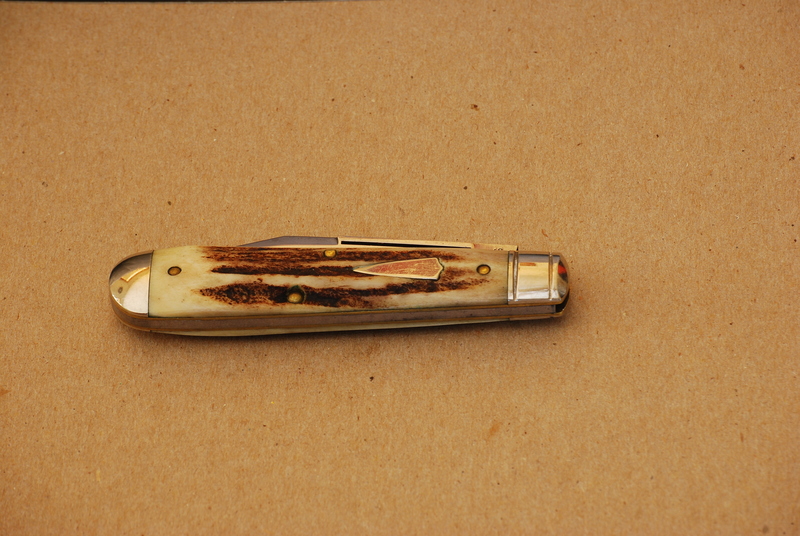 I get about a week of pristine knife pics before the patina and scratches start to show up in the shots. 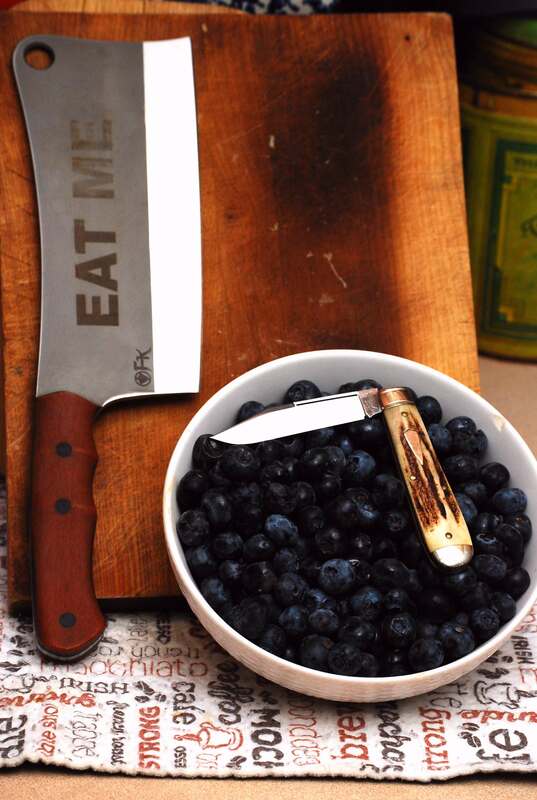 The steel in this year's knife may not develop a patina, but I know what you mean! 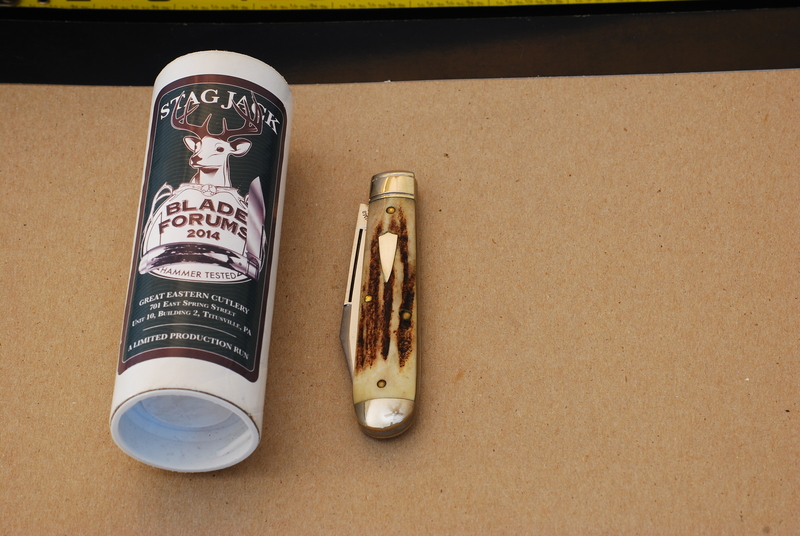 That 2014 GEC Stag Jack is to cool for school. The Stag Jack has some of the most consistent scales. 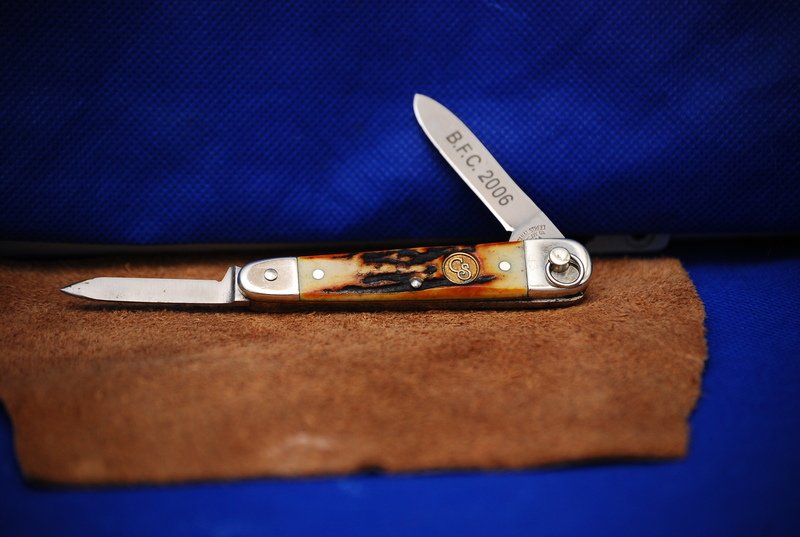 Unlike the Barlow which had a wide variety within scales on the same knife. Many were fat and grooved on one side while bein’ all popcorny on the other. 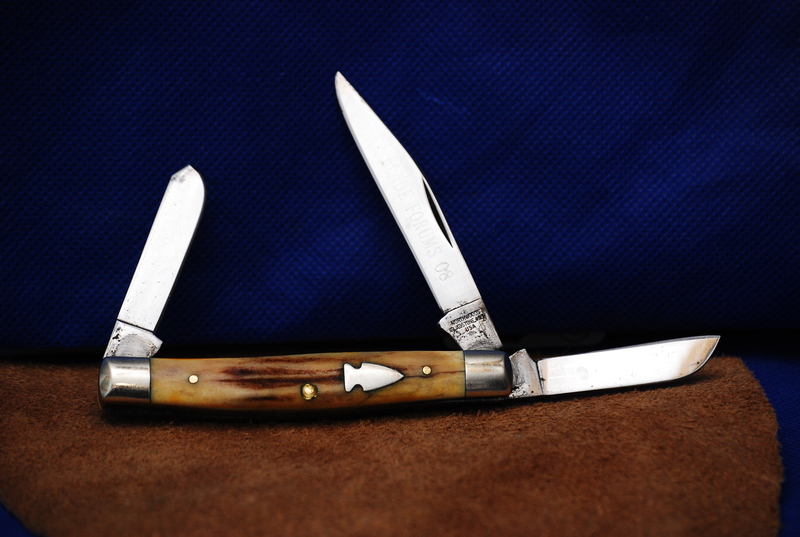 The Stag Jack is more of a gentleman’s knife with a slim frame that doesn’t print and it disappears in your pocket. I really like the blade profile on that Stag Jack as well. OUTSTANDING !!! 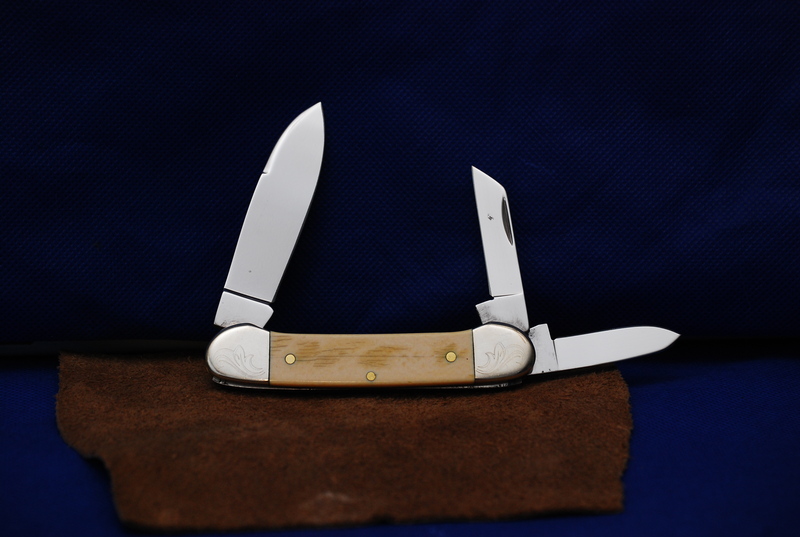 The Stag Jack and TC Barlow are the two thinnest frame knives we’ve had made so far. 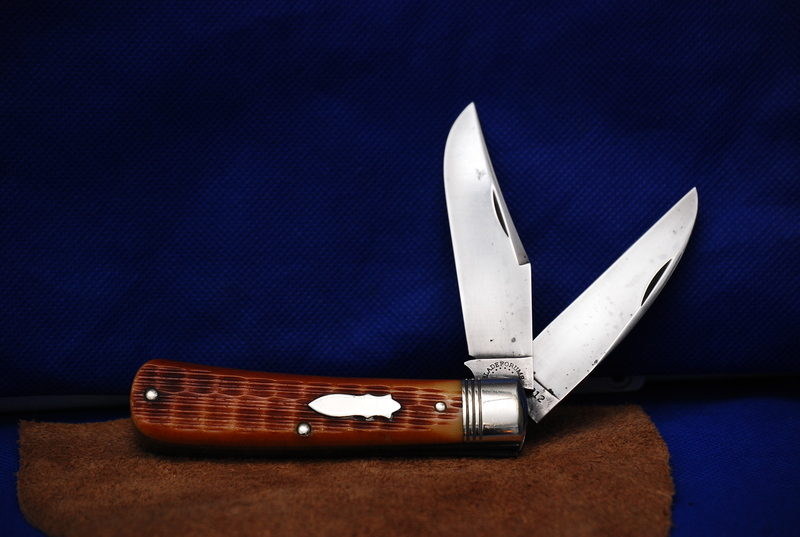 The single blade knives never seem as popular when the choices are bein’ thrown about but seemed to be popular when it came time to complain about how it was the one that got away. The poll seems to bear this out, it’s in the lead in this thread. Here it is with the original tube art. Prester John, skyhorse and JohnDF like this.